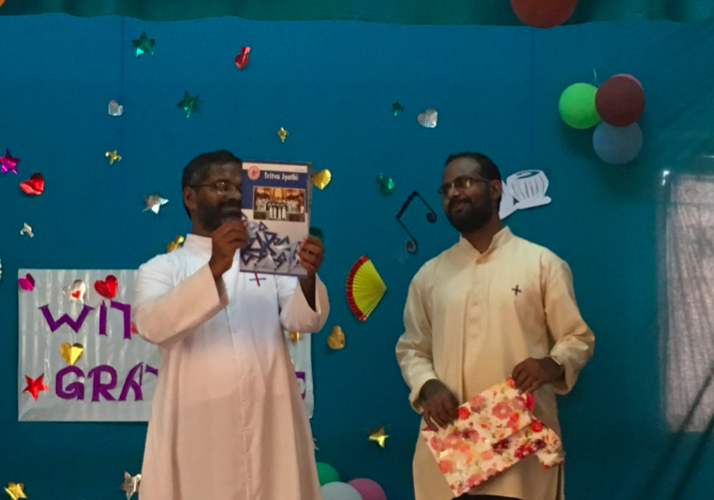 We the members of the Bangalore community published the Magazine Tritva Jyothi on the occasion of Benefactors Day which was held in Thrissur. Special thanks to Fr. Joseph, the Vice-Provincial of India for publishing it and to Br. Prakash for his profound effort for its actualisation.